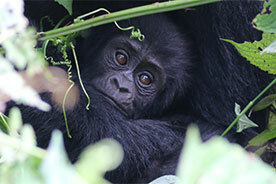 Mountain Gorillas are found in Bwindi Impenetrable National Park (BINP) and Mgahinga Gorilla National Park(MGNP). 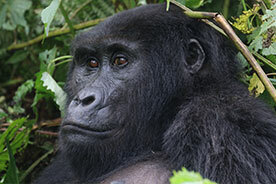 Uganda harbors about 1004 gorillas and the rest live in the neighboring countries of Rwanda and Congo. We prepare the top gorilla trekking tours to Uganda, Rwanda and Congo for you to have a unique experience of great adventure in the African jungle. 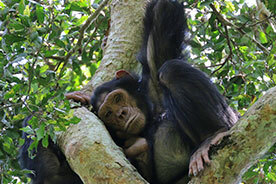 Our Uganda safaris feature the most thrilling things to do in Uganda including Gorilla Trekking safaris, Gorilla habituation experience, birding safaris, wildlife safaris, chimpanzee trekking safaris, mountain climbing, game drives, special birding trips, cultural tours and Homestay and volunteer tours. We offer tailored Gorilla safaris in bwindi impenetrable national park, Volcano national park and Virunga national Park in the Uganda, Rwanda and the Democratic Republic of Congo respectively. Travelers interested in Gorilla Tracking are required to acquire Gorilla tracking permits about 6 months prior to the time of traveling. 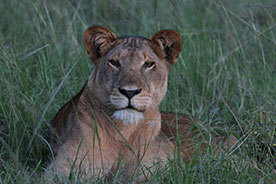 This is meant to avoid any inconveniences because Gorilla tracking permits are few and competitive. 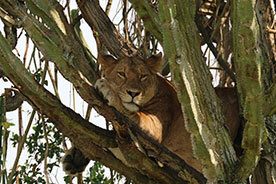 Please contact us on email:shoetours@shoebillsafaris.com and we will gladly take care of your trip. 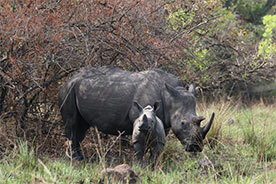 Visit Murchison Falls Nationalpark, Kibale National Park and Queen Elizabeth Nationalpark with a lot of animals. 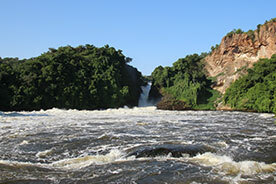 Enjoy a boat cruise at Kazinga channel. At the End of the trip go for Gorilla-Tracking in Bwindi. Enjoy this 12 days with Queen Elizabeth Nationalpark, Chimp-Tracking at Kyambura gorge, Gorilla-Tracking in Bwindi National Park and relaxing and Birdwatching at Lake Bunyonyi. 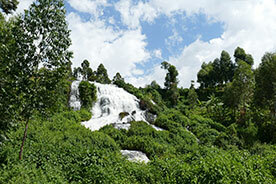 Enjoy this 12 days to Uganda’s North. Highlights are: Jinja, Sipi Falls with hiking and a coffee tour, Kidepo Valley National Park with a visit at the Karamajong people, Murchison Falls Nationalpark and Kampala. Visit the most beautiful National Parks in Uganda with Rhino-, Chimp-, Lion- and Golden Monkey-Tracking at Mgahinga National Park. And relax one day at Lake Bunyonyi or do some other activities. Join us on this exciting 19 days birding safari in Uganda combined with gorilla tracking in the impenetrable forests of Bwindi. 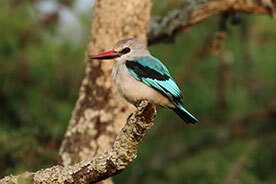 Enjoy birding in Uganda, for best birding encounters. Vistit the most beautiful Nationalparks Murchison Falls NP, Kibale NP, Queen Elizabeth NP, Bwindi Impenetrable Forest and Lake Mburo Nationalpark with the Hightlight Gorilla-Tracking. E.g. with a whole day workshop at Ndere Centre in Kampala. These include cooking traditional foods, traditional dancing, dressing in traditional attire and courtship the Ugandan style. 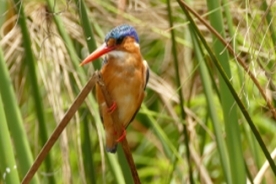 An exceptional birding destination, Uganda is one of Africa’s premier birding and wildlife locations, with varied habitats protecting a plethora of quality bird and mammal species, special the Shoebill stork.